"But perhaps the most embarrassing gaffe so far is her mis-attributed quote to UCLA basketball legend John Wooden." "As of Tuesday, at least 334 members of the military services have committed suicide in 2009, compared with 297 killed in Afghanistan and 144 who died in Iraq, the figures show." Something to think about. Is anyone thinking about it? 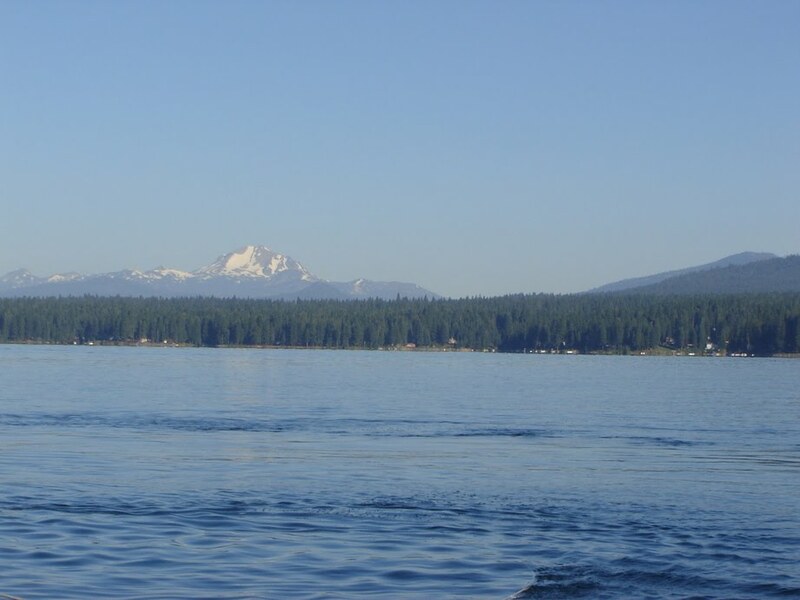 We had a very nice Thanksgiving, enjoying our three days of holiday at Lake Almanor, about 100 miles east of here and 4500 feet higher. There was snow on the ground and on Friday we were treated to an early morning snowfall, delighting one grandchild who had never seen it snow before. I have. Plenty of times. And it’s one of the reasons we live 4500 feet lower. But we made it home safely and without any drama. We certainly enjoyed having some time to visit with six of our seven grandchildren. They are growing up fast, even the ones that are in their twenties. Now we’re home and life goes on. And then I watched a video of Sarah Quittypants supporters being interviewed at a book signing in Ohio. No, not a single trick question was asked. And true, we didn’t get to see all of her fans being interviewed. True again, we don’t know how the clip was edited. But, the answers to those ‘not trick’ questions that I did hear were most disturbing. How could these people, who looked so normal, be so dumb? If you saw them in a market or a department store, there wouldn’t be anything about them to let you know that there wasn’t a single clear and concise thought behind their foreheads. Didn’t they go to school? Ah! That’s the answer…I think they did. My mind flashed back to some overheard conversation with our youngest grandchildren, twins, and they are in the first grade. And they were studying about the Pilgrims. What? Why on earth is that old program being taught? Did someone at school forget to cancel the orders for the Pilgrim study material about 30 years ago? And they just keep reordering? Spain had a colony in Florida in 1565. The Pilgrims landed in 1620. These are well known facts and yet the Pilgrim myth is still taught. And so it goes; into the rest of the elementary school education, myths are taught as facts, year after year. It gets no better in high school and it’s not until the student reaches college or universities that some truths are revealed. And yet some students deny it. They are more comfortable with the old myths. As I age, I see the lack of education as the single most dangerous threat to our form of democracy. Doesn’t anyone else see it? Oh, I know some educators see it, but those in power, those with the ‘purse’ are not quite willing to give a good education to all. They are quite happy with ‘average’ voters. Average means a C grade and I thought that as a nation we shouldn’t be happy with a C grade. Yet, that is exactly what an average voter is and most politicians depend on us being average. When it comes to schools we talk a good game but there is no follow through with the funding and the drive to get it done. Facts are, our children spend less and less time in the classroom. Facts are they are not being taught those things that they will need in their future world. They’re stuck in our world because we can’t imagine what theirs will be like. Yet we could do that. All we have to do is put the brakes on over at the department of War and start spending money on students. Imagine demanding that our children be educated. It’s our money, our government and our children. And grandchildren. Enough of that, this post by Ronni is well worth reading. We drove up yesterday and the day couldn't have been prettier. A smooth and ice free road for all except the last quarter mile and that wasn't bad at all. A great trip. For me. I'm not driving because of all the interesting drugs I take. Anyway, we arrived and made our way slowly across the slippery sections of the path to the cabin. Once inside, a grand vista of the lake dominates the living room. Sweet! I quickly found a chair to ease my aches and one that would let me view the lake. The lake? 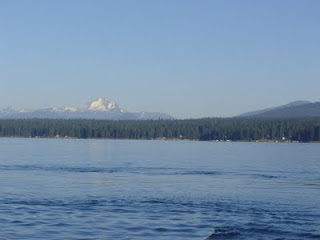 It's Lake Almanor and the cabin is located near Prattville, a name I love. And we're going to be here for the holiday and beyond for a day. Then back down the mountain to face reality. But, while I'm here, I'm enjoying great connectivity and I get to watch the world on my netbook. And I can comment and post to my blog anytime. I love it! I'm one of the many people who live in California's Second Congressional District, represented by the Honorable Wally Buffoon. No, his last name isn't Buffoon but that name seems just so...right. Anyway, I happen to subscribe to the California news from Congress.org, a great group that watches your lawmakers for you and reports once a week on their activities. Nothing subversive about that...just the facts. And this weeks newsletter tells me that Wally Buffoon has voted against two bills, one being a bill that would reauthorize FEMA's Assistance to Firefighters grants and Staffing for Adequate Fire and Emergency Response program through FY2014. The second being a bill to change the formula that determines the Medicare physician fee schedule, with the intention of preventing a 21 percent reduction in Medicare payments to physicians. From all appearances, Wally is against Medicare and Firemen. I can guarantee you that these two items will not be in his folksy newsletter that he sends once or twice a year. So, if you really want to know what your representatives are doing. take a look at Congress.org and subscribe to their free updates for your stste and district. "Scientists and engineers ought to stand side by side with athletes and entertainers as role models"
Imagine what would happen if we spent the same amount of money on science education in high school that we spend on the dozen students that 'make the team'. Swap cheer leaders for computer programs. Not new bleachers but a new chemistry lab instead. Think about it. The future of a thousands of students versus a few dozen whose future evaporates as soon as their athletic skills do. Now that's the kind of world I would love to see...sigh. How does she look at herself in the mirror? Speaking of Sarah Quittypants as I was, I ran across this interesting piece on the subject. Enjoy! Yes, I'm Following this blog! During the past two days I was lured into participating a Facebook fracas. Well, lured isn't the right word, I was eager to join in. It seemed that a Friend of a Friend made some disparaging remarks concerning those of us who had agreed with a disparaging review of Sarah Quittypants latest fiction novel, Going Rogue. Of course I had to respond. And then my sister, also a good Liberal, joined in plus some other good Liberals that I didn't know but were Friends. After one or more of these exchanges, the Friend of a Friend, from now on known as the Evil One, began to become quite upset and started using the ALL CAPS method of shouting at us as the fracas moved from Mrs. Quittypants to our President and the Democratic Party in general. It turned out that the Evil One actually believed every single word uttered on Fox News and had never heard of NPR. He also believed the 'Birthers' and their wacky claims. The list of things that he believed was overwhelming. And funny if he hadn't been serious. I had never met one of these people before, on-line or in person, so it was startling to read what he was saying. Okay, I'm convinced, these people do exist. They have no knowledge of history. They exist in the 'now'. They are easily led by anyone with a cause…say Glenn Beck? They will not listen to reason. The fact that they vote is scary. Shouldn't you have to have some knowledge of how our government operates before you vote? Okay, that's dangerous territory, I will move away from the voting statements. But I still believe them. That Thomas Jefferson guy was a real troublemaker. It's a good thing he's not around today to say these things. Wacko, Commie, Socialist, Pinkos Least Corrupt In Universe - Who Did They Bribe? Alright...this is where I found that link to the CPI pages. Read on and gain some good knowledge. And then shake your head. What is wrong with our elected officials? Are they insane? As it is often said, Perception is Reality. I found this page while wandering and was quite happy to see that the US of A made it into 19th place and ahead of France. (#24) Those darn cheese eating surrender monkeys don't even deserve the 24th place...but that's another story. What is important are the CPI scores of the nations where we are so firmly entrenched. Iraq has a score of #176 and Afghanistan is #179. Yes, the bottom 5. I'm assuming that Iraq got the better score because we are leaving. And in the top ten are a bunch of...gasp!...socialist countries! Oh, the horror of it. I was just reading a blog where the author mentioned some of the things in the past that she loved and that are now gone. And, not surprisingly, I missed some of the same things. True, I'm a vocal supporter of change and can't stand to hear people talk about the 'good old days' because there really aren't any good old days. If those 'old days' were real, our life span wouldn't have increased over the past half century. It is certainly not wrong for me to support change and at the same time, long for the memories of childhood. Dichotomy is built into the human psyche and few are exempt. The 'good old days' are for sweet memories and not to be sought after …but I digress. Some things that I miss. Going to the airport to watch the planes land and takeoff. Knowing that the house was unlocked and I wouldn't have to worry about getting in. The same with my car. The keys were in it. If not in the ignition, they were on the floor or seat. Solitude. It used to be easy to find. I was going to continue the list but I ran out of memories. Now, that happened either because I am old or because I am on drugs. Both are true. But those memories are sufficient for this day and have given me some enjoyment. But, after that, I'm looking for some changes! "For five years, Alfonso, 74, has watched tides rise higher and higher in the Boca Grande section of Cartagena. This month, tides briefly inundated the only mainland connection to his neighborhood, a converted sandbar where about 60 high-rise condo and hotel towers have been built in the last decade or so." As we all know, the global warming issue is a conspiracy by the 'left' to do something or another; I forgot, but I'm sure it's right. I heard it on Fox News so it must be true. Anyway, Alfonso, being 74 years old is probably senile and only imagines the water pouring across the roadway. Besides, it's in Colombia and so why would we care? Poor California...poor in more ways than one. And every day we see evidence of how the legislators led us down the primrose path. A new headline of horror every day. Forget the governors, it is the legislators who are at fault. Not one is exempt from guilt. If they were innocent, we would have heard from them day after day, week after week. We didn't. Turning aside protests by students, the University of California Board of Regents approved a 32% increase in student fees. That amounted to $2,500 per student. "I hate to say it, but if you have no choice, you have no choice," UC President Mark G. Yudof told reporters before the vote. The students, he said, should protest state lawmakers who have cut education funding. The United States is unique in that we have a for-profit health insurance industry which has not done very well in providing health care. In France and Switzerland, such insurance companies are non-profit and tightly regulated. But almost everywhere else where there is a form of national health insurance, there are no such things as companies that make profits based on a person’s health – and no one is without access to health care. Don't read it if you already have the health care problem solved in your mind. Interesting results as long as you're only talking about America, but what happens when Mr. Gallup goes to Canada, UK or France or Spain or Switzerland or Germany or Holland or anywhere else? Just wondering. I don't know who created this image, but whoever it was is a true artist, able to capture the soul of their subject. I'm waiting. Still waiting. For the republican health care bill. Where is it? I hear a lot of republican whining but not one constructive word. No. Not one. Is that because they don't want one? Because they think we don't need one? I'm waiting, along with 300 million other Americans…minus Congress and the Senate of course. I'm not a diplomat, in fact I'm known to be less than diplomatic at times, but aren't we giving the Karzai government far too much legitimacy with this visit? Wouldn't staying away or arriving late have underscored our concerns with this crook's government? "What is going to happen is insurers are going to say, 'The U.S. Preventive Services Task Force doesn't support screening. We're not going to pay for it,'"
No kidding. If you want to cut health care costs you might want to start with the 'care' that patients receive. What about the pharmaceuticals? What about Medicare fraud? Everyone can easily add to the list of things that could cut health care costs before telling patients that early detection is not cost effective. "new guidelines released Monday by an influential group that provides guidance to doctors, insurance companies and policy makers." Why do I get this feeling that women should be afraid, very afraid, when they read this? Can anyone answer the question; the USA has the highest drug prices of any nation on the planet and now they are going higher...why? Isn't this a question for your Congressperson and Senators? Would they answer it is a better question...but I'm going to ask them. Go ahead and take the time to log in, the article is worth your time. "The budget implications of President Obama's decision about sending more troops to Afghanistan are adding pressure to limit the commitment, senior administration officials say." And well they should. Doesn't anyone read history anymore? Even recent history would reveal the fact that the Soviet breakup was fueled by the immense costs of their attempt to pacify and rule Afghanistan. No, it wasn't Ronnie yelling, 'Tear down this wall!' that broke the Soviet hold, it was the economics that did them in. As it did to all who have ventured into the Afghan lands with war on their minds. Has anyone tried to peacefully help the Afghans? We did this once by helping them convert the poppy crops into cotton crops. And then when they went to sell their cotton on the world market, they couldn't compete against American cotton because it is subsidized to a point where no one else can compete against American growers. The Afghan cotton was plowed under the poppies merged once again. And a lesson was learned by Afghan farmers. Don't trust America. Why can't we try again? And do it right this time. It costs a $1 million dollars a year per soldier to keep him or her in Afghanistan. One million dollars. How many Afghan schools could we build and supply for that one million? And then with the next million, or one soldiers worth, we could help a school right here. General Chrystal wants forty to fifty thousand more soldiers to go to Afghanistan, at a cost of one million per. 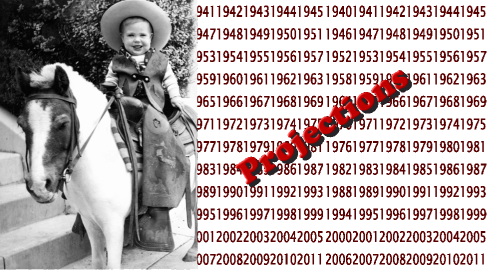 (You do the math…I'm tired of these numbers) How many schools do we have in the US? Forty or fifty thousand? No. We would have money left over if we used that million at each of our schools. Perhaps we could use the extra $$$ for healthcare? And let's not forget, that's a cost per year. We could do it all over again next year! And I haven't even counted the soldiers that are already there and could be pulled back home. Let's use that money we saved to educate Afghans. That is what they want. They've said it a million times and yet we bring them war. I've already heard the Republicans, who have never seen a war they couldn't love, are beating the drums to escalate this one. They want to win! Win what? And how? They can't tell you, they just love a parade. They are warning that the Taliban will rush across the border from Pakistan if we leave and they will bring Al-Qaida with them. Well, the Taliban is already there and in power. It is their country and they know it well. Al-Qaida can operate anywhere and have for years. It's like Whack-A-Mole and we cannot outspend these people because they don't use money as much as they use ideology and we have to be able to show the people a better ideology with education. Sadly, our departments of Education and Health don't have anywhere near the budget that the Department of War has. ...couldn't help myself. Saw this clip a few minutes ago and had to put it up. Is there anyone sane at Fox news? Anyone? Yikes! The approval rating for Congress is 21% and 22% by Gallup Polls and the Wall St. Journal, respectively. Yes, the dog catcher has higher approval ratings. And yet these thoroughly disliked Congresspersons act as if nothing were wrong and continue to make laws for us. Why do we allow that? Are we stupid? I found this gem (link above) and an 'answer' to a question I hadn't even asked. Yes, Wendy, health care is a right and it comes to us as soon as we are born. I'm just glad I wasn't born in her version of the world. "A restriction on abortion coverage, added late Saturday to the health care bill passed by the House, has energized abortion opponents with their biggest victory in years — emboldening them for a pitched battle in the Senate." One hopes not. Let's all send some money to help Kendrick Meek show 'Mount Rushbo' that he's on a fool's errand and he's the fool. "Conservative Republican group shuns party-backed Senate candidate in Florida"
All it does is make me want to vomit. I'm reading the comments of the republican Senators (And a few Democrats) as they prepare to do battle against the American people and all I see behind their words are the millions of dollars spent by the health insurance companies to make certain the battle goes their way. I don't see some high moral purpose in their stand; I only see dollars. As bad as the House bill is, loaded with republican garbage, I am still hoping that the Senate can make it a better bill. But at this hour, it seems a distant hope. I guess I am just naive, but I simply don't understand how a modern day industrialized nation such as ours can NOT make certain that all of their citizens are covered by adequate health care. We were once a leader among the industrialized nations. Now we are not. And all of those other nations are able to take care of all of their citizens and spend even less money than we do taking care of fewer of our citizens. Why doesn't anyone answer that question? And this; I read one sniveling note that said "health care is not a right". What? Are we that far gone into depravity that we can even consider such a notion? Of course it's a right! I could go on and on citing chapter and verse that shows just how greedy we have become as a nation. But why? It only makes me mad and it doesn't seem to make a lot of difference. Once again the republicans have proved that they only care about ideology and not their fellow citizens. And this bill, 'historic' as it may be, is riddled with imperfections that will leave us at the bottom of the heap when it comes to industrialized nations. That's right where we've been all along for the past decade, so it won't be strange territory for us. One can only hope that the Senate can give some life to this bill. Why am I disappointed at what should be a victory for progressives? Because of the cowardice of the Congress, that's why. This bill should have been Medicare for all. Okay, so why do Republicans hate this country? "US President Barack Obama has hailed as "historic" the approval of a health bill by the House of Representatives." She really knows the voters and how to interpret their every vote. Great column from someone who puts it all in the right perspective for us. Funny. One, ignore the headlines and use your brains instead. Three, read Gail Collins more often.